Smart Print & Labels, Lancashire. UK label and sticker supplier. Whatever your requirement, whatever your industry Smart Print can advise on the best material/adhesive combination for your application. We can print anything from one colour to varnished labels with multiple colours. We offer varied sizes, materials and adhesive combinations. Extensive stock items as well as bespoke makings. 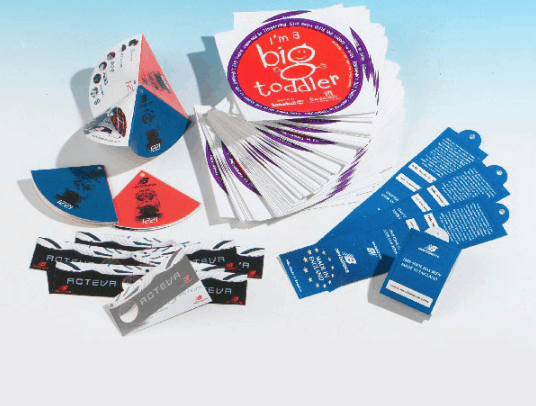 Any size, material and adhesive combination with up to 6 colours printed including foils. We can also laminate. Stock sizes and specials available. Any size, material and adhesive combination with up to six colours of print. Wax, Wax/Resin and Full Resin options available from sources such as Armor, Sony and Ricoh to suit every printer. All sizes available as bespoke makings. Any size, material and adhesive combination with up to four colours of print. All texts and fonts, consecutive numbers, static or consecutive barcodes in ladder or picket fence format. manner of material & adhesive combinations. 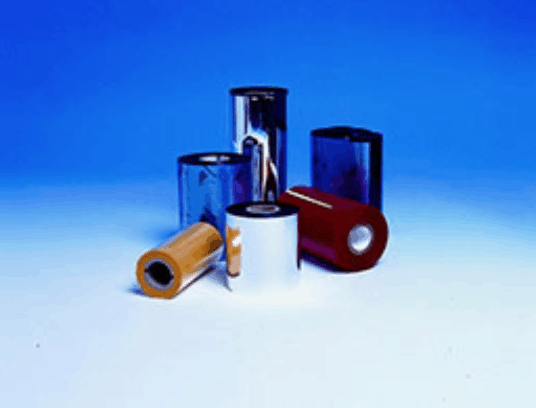 Wide range of Smart Label compatibles available from stock for example SLP-2RL. 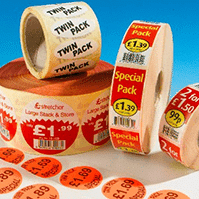 We offer a wide range of printed price labels/special offer labels to price and enhance your goods. Specialist labels plain and printed for use as Asset, Security and Pat labels. We offer a wide range of plain labels for use in a wide range of Portable Thermal Transfer printers used in Stores, Warehouses, Hospitals, and Field applications. At Smart Labels our services are tailored to each clients need. 80% of our work is customised specifically to an individuals requirements. 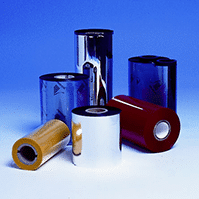 We also supply Thermal Transfer Ribbons in wax, wax resin and full resin grades from such manufacturers as Armor, Sony & Ricoh. If you are looking for a source for card products and business forms then please telephone with your requirements. 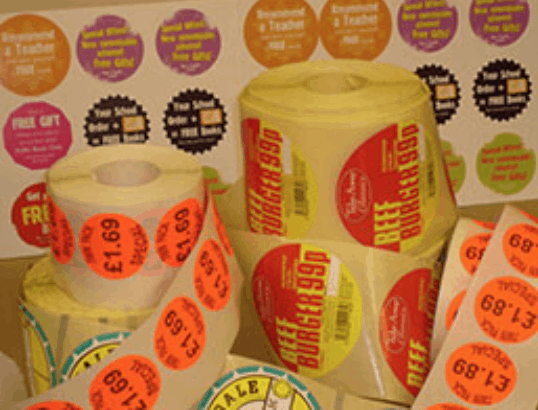 Smart Print & Labels specialise in large and small volume gel labels, bubble labels, thermal labels, plain labels and label rolls for every market sector. 19mm, 25mm, 44mm, 76mm and 100mm. Extensive stock sizes available as well as specials. Plain papers, coloured papers, synthetic materials, clear material as well as adhesive optionssuch as permanent and removable. Labels can be continuously fanfolded instead of supplied on rolls if this method of presentation better suits your application. 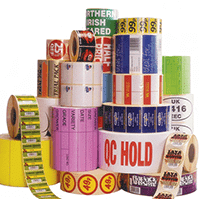 We produce labels for every business large or small, our labels may be used for production, despatch, distribution, advertising, promotional and point of sale applications. 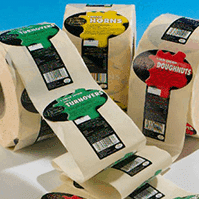 Our labels are produced from a vast range of materials such as matt & gloss paper, vinyl, polyester, polyropylene, aluminium to name but a few….various adhesives are also available such as permanent, removable/peelable and deep freeze. There is a material/adhesive combination available for every application or example labels to be removed cleanly from glass without leaving an residue or to adhere to frozen chicken!